"...Incorporated in May 1999, Integrity Building Systems is privately owned and operated by an experienced management team with more than 150 years combined experience in the modular housing industry. 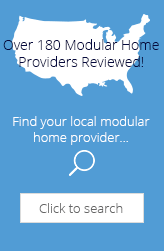 This experience shows through in our product and customer satisfaction..."
Editorial Review Integrity Building Systems is providing average modular homes. They offer customization for home buyers. This is an option for mid-range home buyers. They have had some financial questions so you might want to proceed cautiously. The builder we interviewed spoke well of the quality coming from Integrity Building Systems. It was started by seven housing industry veterans and it is apparent that they are using their knowledge. Having designed my own home, Integrity did a great job of putting my modular home together exactly as I wanted it. But now I'd like to remove my dishwasher and create a cabinet there for more storage, with sliding trays to pull out. They Build a custom home for my wife and I and this home is the best home we ever had built. This is our 9th home built and Integrity did a awesome job !!! There service work is 2nd to none. Mechelle Marks from Hughesville, Pa.
Recieved a phone call after contacting Integrity about the problems with my new home and they are coming to take care of everything! Great news!,so I felt that to be fair, I needed to update my review accordingly. Good to see that they are willing to fix any problems that we may have. Thank You Integrity! You have lived up to your name. 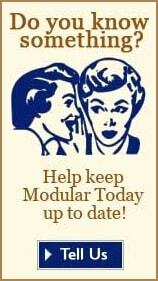 We were skeptical at first as we didn't know anything about modular housing. I must admit it was very painless and extremely easy in getting all the upgrades my wife and I wanted. I would highly recommend Integrity Building Systems to anyone thinking of building a new home! The after the sale service has been great .... not that we had to have much service after the completion. Who knew buying our first home would be this easy? Our only regret is not waiting to take advantage of the current tax rebate going on.....but I digress! My wife never heard about modular construction and I did a lot of research on benefits of building modular. It wasn't until we visited the plant at IBS that my wife was sold on buying from Integrity. They have a state of the art building facility and I later found out that all of the Owners of IBS are involved daily with all the operations from purchasing to working on the floor. This really impressed us....so many companies are run by absentee owners who don't know what happens behind the curtain...so to speak. From the time we got approved for our loan to sleeping in our home for the first time was exactly 62 days!!! Our local builder took care of all the site work as our house was being built....this of course after my wife changed the layout and dimensions of the rooms too many times for me to mention! The only issue we had was a gouge in the hardwood flooring that we did when moving our fridge into the house. IBS came down within a week and replaced the damaged piece of hardwood. Our energy costs have decreased twofold because of how energy efficient our Integrity home is. My wife and I purchased a home built by IBS. What a terrible experience.We had to send several certified letters to have warranty work done. We had to file suit twice for damage the service personell did to our carpet and for imprpoer installation to our heat pump. In fact, we had to replace our entire heating/ cooling system after less than 2 years use. I would give them 0 stars. Buyer beware! We built or IBS two story home 4 yrs ago and couldn't be happier!!! My wife is very particular on details and she especially likes the candle-light package we optioned in as well as the kitchen cabinetry. I am very pleased with the overall structural integrity of the home. Upon 3rd party inspection,the inspector commented that he had never scene a more impressively built home....stick or modular! We invite you to share your personal opinion of Integrity Building Systems. Please explain your like or dislike.